How often have you thumbed through a business opportunity magazine, noticed a franchise opportunity advertisement, and felt you would really like to get in on that… if only you had the money? If you are like most who are seeking greater opportunity and wealth, this probably happens with you more often than you care to admit, except perhaps in strictly private conversations. When the average person sees one of these opportunities, or comes up with a similar idea of his own, the problems of start-up capital may seem formidable. But in reality, they may not be. In fact, just about anyone with a good credit record and an “insider’s sense of business” can get the capital he or she needs, whenever it’s needed. The secret is in knowing how to put together a proper proposal, and to present it to the right person. The first thing you are going to need is a complete business plan. This is a complete and detailed description of exactly how you intend to operate the proposed business. Your business plan should detail precisely the product or products you plan to sell; how you’re going to produce or manufacture the product; your costs (inventory costs if you’re purchasing them from a supplier); who is going to sell those products for you; how they’re going to be sold; the attendant costs; when you expect to recoup your initial investment; your plans for growth or expansion; and the total dollar amount you’re going to need to make it all work according to your plan. Your business plan must be detailed – complete with projected income and expense figures – through at least the first three years of business. Now, assuming you have your business plan all worked out, put together and ready for presentation with your request for capital, let’s talk about your capitalization proposal. Analyze the challenges that you potentially face. You must anticipate the questions and the possible objections of the prospective lender with answers or explanations; and you must “package” it as impressively as you would yourself for an audience with the president of IBM or General Motors. The Executive Summary of your business plan must have this information, as there are lenders who will not read your plan beyond the Executive Summary. READ: What is an Investor Ready Business Plan? The more money you ask for, the more “in-the-know” will be the people you want to borrow from, and so the more detailed and organized your proposal must be. This should not cause you too much worry however, because you can hire a CPA to help you put it together properly, once you have the facts and have a business plan he can work on. Look at it this way: The more money you request for your business, the more your lenders or prospective investors are going to want to know about you, your planning, and your business. They want to be impressed with the fact that you have done your homework; they want to see that you’ve researched everything and documented your facts and figures; they want to be assured by your presentation that investing in your business will make money for them. It’s just that simple at the bottom line. Unless you can instill confidence in them with your business plan and loan or investment proposal, they are just not going to give much positive thought to your request for capitalization. Be sure to prepare a solid financial plan for your venture. You will need a balance sheet describing your net worth – the worth of what you own compared to the amount of money you owe. You will also have to prove your stability and money-management talents relative to how successful you have been in paying off past obligations. If you have had credit problems in the past, get them “cleaned up”, or at least explained on your file at your local credit bureau office. Under the law, credit bureaus are required to give you all the information they have about you in their files, and it is your right to correct any errors or explanations regarding negative reports on your credit. Do this without fail because prospective lenders or investors will definitely check your credit history. So, now you have your balance sheet prepared; your credit history organized in a light that’s favorable to you your business plan (with costs and income projected over the coming three years), you’re ready to start looking for lenders or investors. READ: Thinking of Getting a Bank Loan? Do Your Homework First! 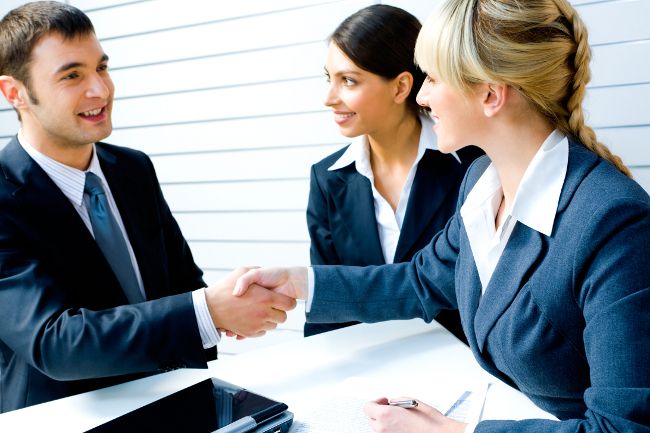 Almost all franchisers offer help in setting up with one of their franchises. Most will go out of their way to assist you in getting the financing you need. Some will lend you the entire amount; with payments coming out of the income, they expect you to make from their franchise operation. Many will carry this loan themselves, while others will carry part of it and find you a lender to finance the remainder. Franchisers have two objectives in mind when they offer franchises to the public: They are trying to expand their operation, thus increasing their profit, and they are trying to raise capital for themselves. If you have a good credit history, and if they feel you have the necessary business personality to achieve success with one of their operations, they’ll do everything within their power to get you in a franchise outlet. Keep this in mind the next time you see an advertisement for a promising franchise opportunity requiring a substantial amount of cash outlay. You do not necessarily have to have all the money. They want you, and they will help you! Many people seem to be unaware that most of today’s largest corporations started on a shoestring – on borrowed money. Many people seem to feel that unless they’ve got it all “in hand” in savings, then they’ll just have to keep plugging away until they can save up enough to take the big plunge. Nothing could be farther from the truth. Just a quick bit of research will show that 999 out of every 1,000 businesses were begun on borrowed money. Look to your family and friends for financial help. Approach them in a business-like manner; tell them about your idea or plans, and ask them for a loan. Agree to sign a formal statement to pay them back in three, five or ten years, with interest. When you have your proposal assembled, you might even want to think of a limited partnership or even a general partnership arrangement as a way to finance your project. In any kind of partnership, each partner shares in the profits of the company, but in a limited partnership, each person’s loss liability is limited to the amount of money he initially invested. The truth is, in this kind of a situation, you will be doing all the work and sharing your gain with your partners, but then it’s a fairly sure way to obtain needed financing. Another common method of obtaining business financing is through second mortgage loans on a home or existing piece of property. Say you purchased a home ten years ago for $35,000, and today the assessed valuation is $85,000, with a mortgage of $25,000 still outstanding. A lender may consider your home to be security or collateral for a loan up to $60,000. In many instances, this is the easiest and surest way of getting the money needed for franchise or other business investment. In addition, it makes sense; you have “net worth” available that is doing nothing but sitting there. Take this equity and invest it in a worthwhile business, and you could double or triple your net worth each year for the rest of your life. Deciding to obtain a second mortgage on your home in order to finance a business opportunity is without doubt a major decision, but if you are sure about your investment project, and are determined to succeed, you owe it to yourself to go ahead. You could incorporate yourself, borrow money from your family through a second mortgage on your home, and protect against the loss of your home through the Federal Homestead Act. The important point here is that all business opportunities involve risk and sacrifice. It’s up to you to determine the feasibility of your success with your proposed venture, then decide on the best way possible to proceed. In every instance where you run into reluctance on the part of a lender to lend you the money you need, explore the feasibility of “two-name” or “co-signed” loans. You can have the franchiser sign with you, or one of your suppliers, a business associate or even a friend. Oftentimes you can borrow or rent collateral such as stocks, bonds, time certificates, business equipment or real estate, and in this way give greater confidence to the lender in your abilities to repay the loan. Whenever you can show a contract from someone who has agreed to purchase a certain number of your products or services over a specified period, you have another important piece of paper that most lenders will accept as collateral. Still another possibility might be to get a bank or a firm that has loaned you money in the past to guarantee your loan. They simply guarantee that they will lend you money in the future if ever the nee should arise. Going straight to your neighborhood bank, applying for a business loan and walking out with the money are just about the most unlikely of all your possibilities. Banks want to lend money, and they must lent money in order to stay in business, but most banks are notoriously conservative and extremely reluctant to lend you money unless you have a “regular income” that guarantees repayment. If and when you approach a bank for a business loan, you’ll need all your papers in order – your financial statement, your business plan, credit history and all the endorsements you can get relative to your succeeding with your planned enterprise. In addition, it would be a good idea to take along your accountant just to assure the banker that your plan is verifiable. In the end, you will find that it all boils down to whether or not the bank officer studying your application is sold on you as a good credit risk. Thus, you must impress the banker – not only with your proposal, but with your appearance and personality as well. In dealing with bankers, never show an attitude of doubt or apology. Always be positive and sure of yourself. However, don’t come on so strong to them that you’re either demanding or overbearing. Just look good, know your stuff, and project an attitude of determination to succeed. Your best bet, in attempting to get a business loan from a bank, is to deal with commercial banks. These are the banks that specialize in investment loans for going businesses, real estate construction, and even venture programs. Look in the yellow pages of your telephone or business directories; call and ask for an appointment with the manager; and then explore with him the possibilities of a loan for your project. One of the “nice things” about commercial banks is that even though they may not be able to approve a loan for your business ideas, they will usually give you a list of names of business people who might be interested in looking over your proposal for investment purposes. Many commercial banks stage investment lectures and seminars for the public. If you find one that does, attend. You will meet many local business people, some of who may be able to and interested in helping you with your business plans. When you are looking for money to move on a business deal, it does not really matter where the money comes from, or how it all comes about. It is important that you get the money, and at terms that are suitable to you. Thus, do not overlook the possibilities of an advertisement for a lender or investor in your local papers. Place your ad as well in national publications reaching people looking for investments. Other avenues to seriously consider are foundations that offer grants, local dental and medical investment groups, legal investment groups, business associations, trust companies and other groups or organizations looking for tax shelters. It is not a good idea to go to a finance company or other commercial lender of this type for a business loan. The most obvious reason is the high interest creates you have to pay. These companies borrow money from larger moneylenders, and then turn around and lend it to you at a higher interest rate than they pay. Herein lies the means by which they make money from granting loans to you. The more it costs them to provide the money for you, the more it’s going to cost you to borrow their money. The only element in your favor when borrowing from one of these agencies is that most will generally lend you money against collateral other lenders just will not accept. Insurance companies, pension funds, and commercial paper houses are not too out of sight with their interest rates, but they generally will not even consider talking to you unless you’re requesting $500,000 or more. They will also pretty much require that your business proposal be backed by the best possible plan. Finally, the bottom line is this: You must have a well-researched and detailed business plan; you must have all your documents and projections put together in an impressive presentation; and then, you will have to be the one who does the final selling of your proposal to the investor or lender. This means your appearance, personality and attitude, because – make no mistake about it – before anyone lends you any sizable amount of money, they are going to want to take a close look at you personally before they hand over the money. Actually, the different ways of financing a franchise opportunity are as many and varied as your own creativity. The sources of obtaining money are virtually limitless, and available to anyone with an idea. One word of caution before you jump into any franchise purchase agreement: The price you pay to participate in a franchise operation is not always the total cost involved in getting the business off the ground. With some franchise operations, you may find other costs such as down payments on the purchase of property, building construction costs, remodeling or site improvements, equipment, fixtures, signs, advertising, and training. Virtually all franchise deals require that in addition to the purchase price or the license fee of the franchise, you be required to give a certain percentage of your gross business income to the franchiser, plus extra payments for promotion and administrative costs. Above all else, before you get involved in a franchise or any business venture for that matter, make sure you’ve conducted a complete and thorough investigation of the opportunity presented. If it’s a good deal, then go with it; but if you have any doubts or feel as though you’re getting in over your head, back off an look around for something not quite so ambitious, or perhaps expensive. There are a lot of good franchise opportunities, and some not so good. It is important that you be sure of what you’re investing in, and that you can make money with it. From there, preparing the proper business plan and the necessary financing, while not always a snap, can be done. Now is the time to do it! We wish you outstanding success with your franchise business.